An aluminum pipe end cap is great to use to terminate a run and can also be used for future expansion. Consider placing a ball valve directly in front of the end cap to allow you to make modifications without shutting down production. Aluminum Air Pipe offers a variety of different sized end caps to fit your plumbing projects. Our range includes pipe end caps as small as 20mm - 3/4" to our 100-158mm / 4"-6" end cap for larger pipes. Our 4" & 6" end caps require equal unions to make a connection to a pipe. The end cap for 4" & 6" can be a dual use fitting depending on the size. Simply choose the end you need above. These Aluminum Pipe End Caps are part of our larger selection of pipe fittings that you can purchase for your next project. 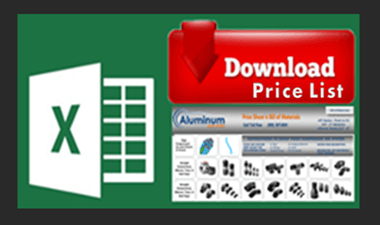 Browse the Aluminum Air Pipe online store for these fittings and other products today!